Piqua, Ohio, Feb 1, 2016 – Hartzell Propeller has strengthened its global leadership in turboprop propellers through a multiyear, multimillion-dollar investment in advanced aerodynamics and manufacturing techniques, featuring structural composite technology. 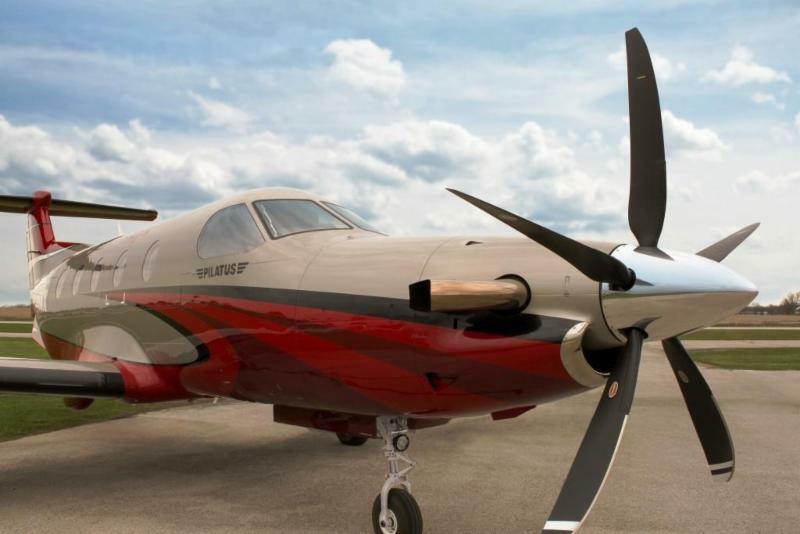 The result has been the roll-out of several new five blade structural composite propellers and an aggressive campaign to identify fleets of turboprops for five-blade propeller upgrades that enhance performance across the board. All Hartzell structural composite blades are certified for unlimited life. This means that they can be overhauled at their normal TBO and continually returned to service, with no limit to the total number of flight hours accumulated. 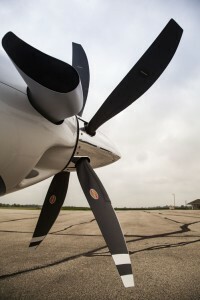 The company has invested heavily in its structural composite propeller center of excellence, developing high-performance five-blade propellers. Hartzell props feature modern aerospace conforming materials that include carbon fiber and epoxy resins and are produced on state of the art automated manufacturing equipment. 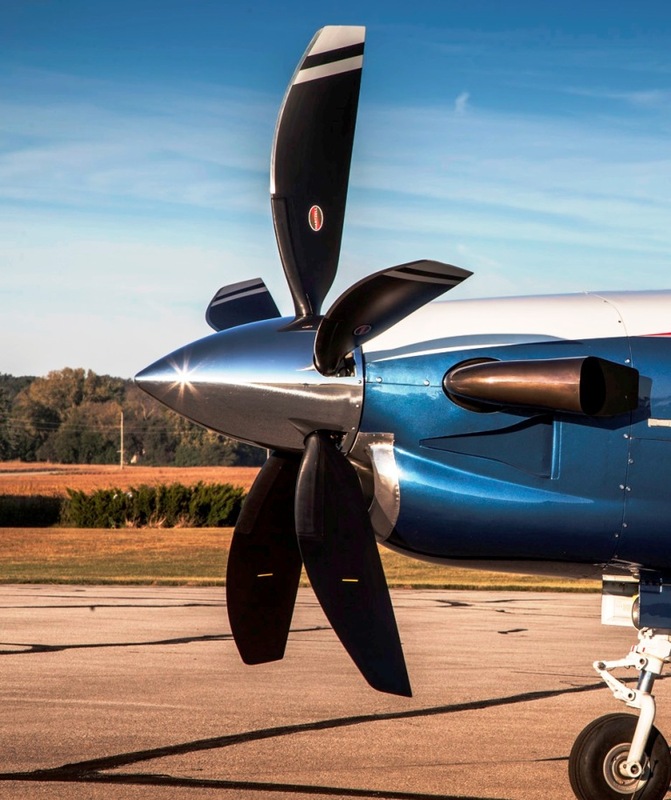 The material choices enable aerodynamic design innovations that feature thin, maximum efficiency airfoils giving Hartzell’s new turboprop propellers significantly increased performance and stunning ramp appeal. Hartzell’s five-blade composite propellers outperform other propellers because of the improved aerodynamics enabled by high-strength material. Hartzell’s five-blade propellers provide lower in-flight vibration and produce greater thrust for better take-off and climb performance. Through optimized aerodynamic design, the low-end performance is coupled with improved cruise performance. The larger surface area and blockage effect of five-blade propellers provide quicker descents resulting in smoother touchdowns with less float. For example, in the single-engine TBM 700/850, Hartzell’s modern five-blade swept-prop generated as much as 10 percent faster takeoff acceleration, two knots higher cruise speeds, and 100-foot per minute better climb rate, along with measurably less noise in the cabin and at the airport. After less than two years on the market, Hartzell’s new TBM propellers are already flying on more than 20% of the total TBM fleet.